May 21, 2011: Music Teachers and Students from Tel-Aviv Visit Salem’s Music Center | The Only Democracy? 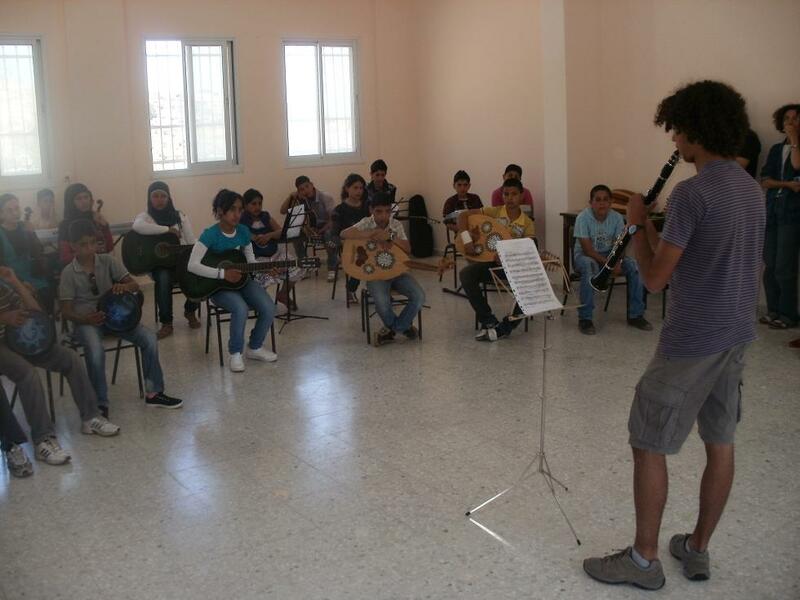 Last Saturday, May 21st, 2011, the music center in Salem village near Nablus hosted teachers and pupils of Tel Aviv Municipal Arts High School A. This visit is a result of the ties that the school principal, Ram Cohen, and Dr. Ruthie Katz, the school’s music major coordinator, began to nurture with the Salem Music Center last summer. About two months ago, the staff of the music center visited the Tel Aviv Arts High School. They attended a demonstration class prepared for them by Mario Solan, musical expression teacher, and his students, Itamar Bellaiche and Noam Da Kalo. Last Saturday, Itamar and Noam arrived with their mothers Anna and Mali for their first visit at the Salem Music Center and joined a class that took place there, together with Mario and the center’s teachers Jubeir, Wasim and Amid. Mario’s and Itamar’s clarinet performance enabled the pupils at the center to acquaint themselves with this wind instrument that has been almost unfamiliar to them until now. The class began with movement and expression exercises led by David Steinberg, coordinator of the Tel Aviv school’s drama major. Visiting – beside these guests from the Tel Aviv school – were also Dr. Dochi Lichtenstein of the School for Music Education at Levinsky Teachers Seminar, and Noam Ben Ze’ev, music critic for Haaretz newspaper. For us, members of the Villages Group who have been following the Salem Music Center program from its onset two years ago, yesterday’s visit was a pleasure and a milestone in the ties we have been tending with the people of this village for the past eight years. 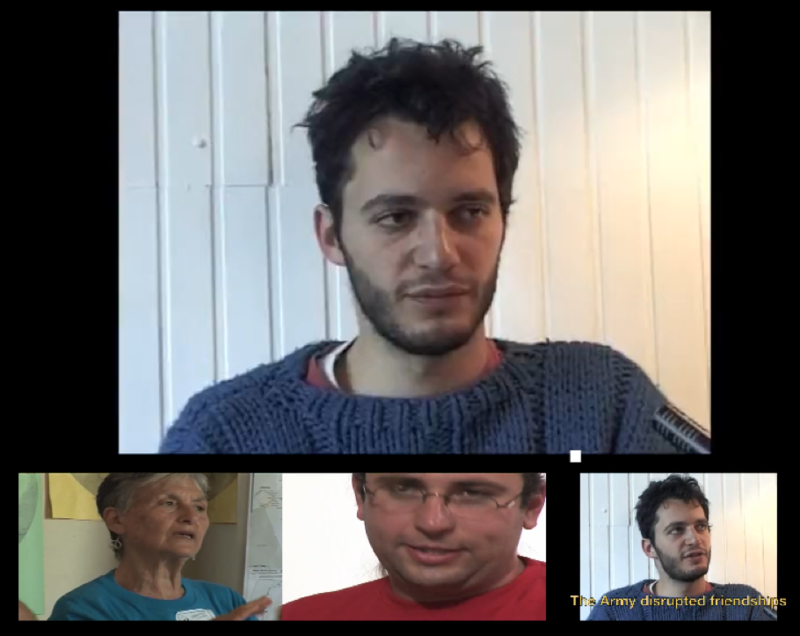 Cooperation with the Tel Aviv musicians augments the workshops given by Dr. Felicity Lawrence of Newcastle University at the Salem Center in November 2010 and April 2011. These activities open a window to different and varied musical worlds for the students and teachers in this village, among whose population of 6,000 there was only one single musician until a year ago. As we updated you last month, the children at the Salem Music Center will be needing more musical instruments from this point on to further their studies and musical development, and enable a new class of students to join. The list of instruments includes 4 violins, 3 ouds, 2 tablas, 4 organs, 3 classical guitars, 1 bass guitar and 1 accordion. Several donors have already helped us with the donations of one large organ, one accordion and a violin. We appeal to all those who might assist this, whether by donating instruments or making a financial contribution, to contact us as soon as possible. The children’s summer vacation, beginning in about three weeks, is activity-intensive at the center, and we would like to facilitate it with all the necessary instruments in time. Please feel free to approach me for more information.